In this week will begin final round of cryogenic testing of the first six of 18 segments that will form NASA’s James Webb Space Telescope primary mirror for space bservations.The results of tests establish that the mirrors will respond as expected to the extreme temperatures of space prior to integration into the telescope’s permanent housing structure. Each mirror segment measures is nearly 4.3 feet (1.3 meters) in diameter to form the 21.3 foot (6.5 meters), hexagonal telescope mirror assembly critical for infrared observations. Each of the 18 hexagonal-shaped mirror assemblies weighs pproximately 88 pounds (40 kilograms). The mirrors are made of a light and strong metal called beryllium, and coated with a microscopically thin coat of gold that permit the mirror to efficiently collect light.Testing of second six of 18 segments will begin in July, and the final set of six during the autumn.This new telescop have to substitute the Hubble Space Telescope. The most powerful space telescope, Webb,have to observe the most distant objects in the univers, take the photos of the very first galaxies ever formed and study planets around distant stars. 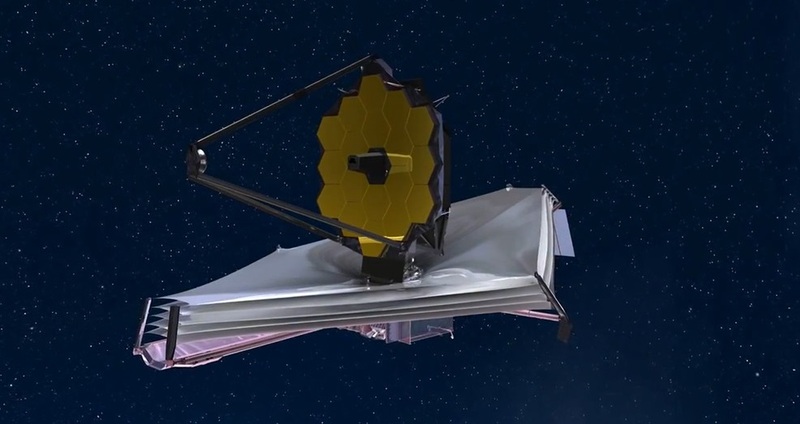 The Webb telescope will orbit nearly one million miles from Earth.